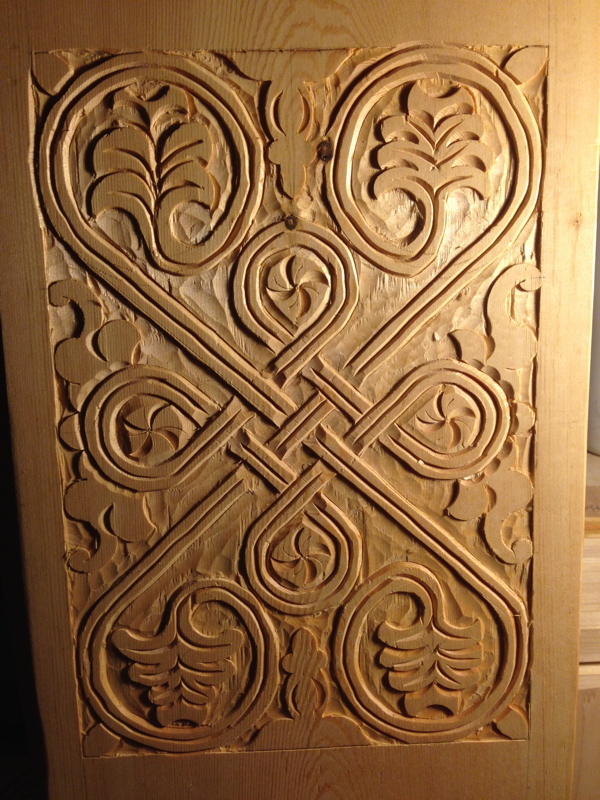 I’ve had the opportunity to revisit some carving work recently– some older, some newly created. An attempt a copying some elements of a Thomas Dennis original. The flower on the right has been giving me some troubles. This one is the best so far. Really a lovely piece of framing lumber. Shame most of it got turned into stairs. 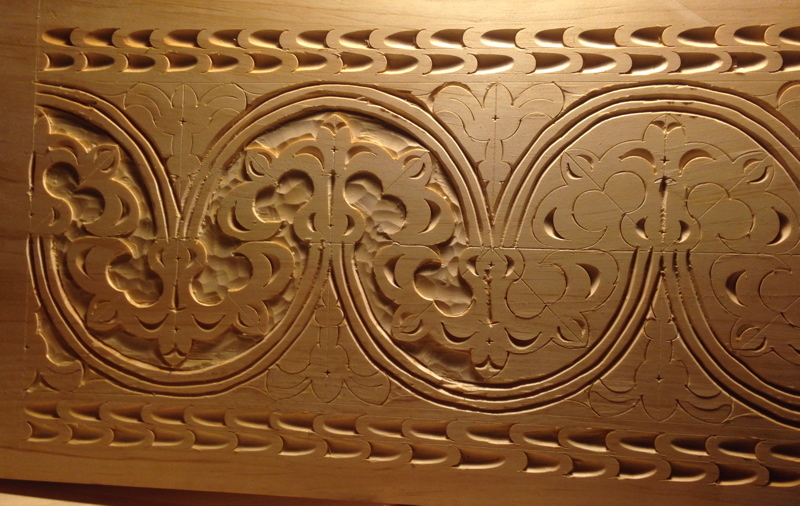 This entry was posted in Uncategorized and tagged carving, recent work on September 21, 2014 by Isaac Guenther.